They’ve been chosen as part of ‘The People’s Projects’ scheme, a partnership between ITV and the National Lottery, and are competing against groups from across the North West. The cash would help to fund the new ‘Let it Shine’ The People’s Parade initiative which would run throughout the summer holidays and work with families – ending in a celebratory carnival. The participants will get to do everything from helping to make costumes to learning performance and musical skills and they even could even feature in the parade itself. Kerris Casey-St.Pierre, who’s helping lead the bid, said: “We have been running the community lantern parade now for seven years. 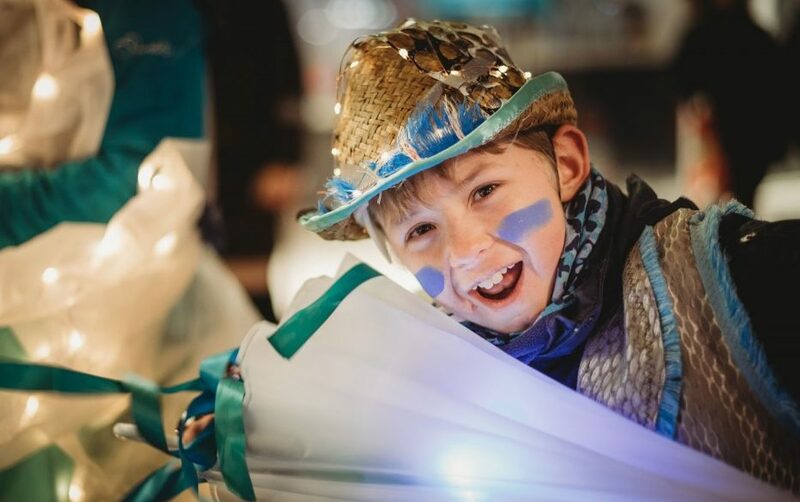 “In the winter we run workshops making lanterns, teaching dance and performance and we make the costumes – it brings the community together to create something fantastic. “What we really want to do is extend our programme throughout the year. Kerris added: “We want a big carnival-style procession at the end of August right throughout the town centre. The group appeared on ITV on Thursday evening with their appeal for votes. You can watch their video and vote now. Please help spread the message by sharing the Council’s Facebook and Twitter posts supporting the bid.